A favorite activity at the Big Sky Resort in Montana! Nestled in the shadows of Lone Peak, Lake Levinsky has become a favorite for visitors and locals alike. Boat rentals on this 10 acre lake are available from 10am - 6pm. Canoes, kayaks, stand up paddle boards and pedal boats are available. Hours may vary, so call if you are unsure. Fishing is allowed, license required for adults. Spin fishing equipment can be purchased at the lake and fly-fishing equipment can be rented at Grizzly Outfitters. 406-995-4989. 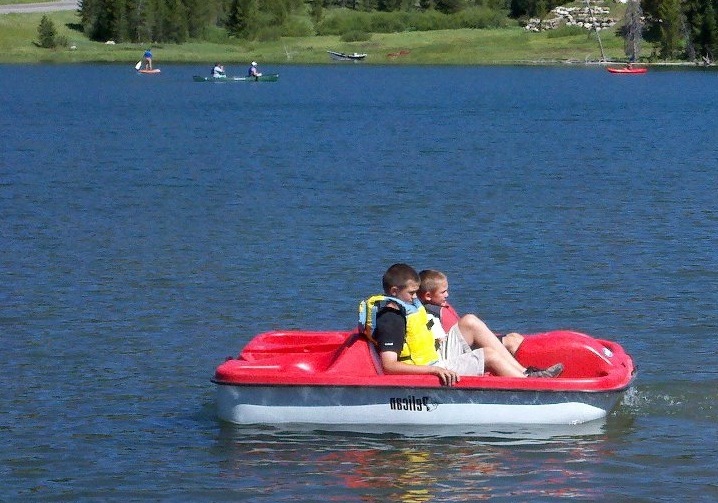 *The Family Adventure Card, unlimited boat rentals, are included for Yellowstone EPIC Pass members.